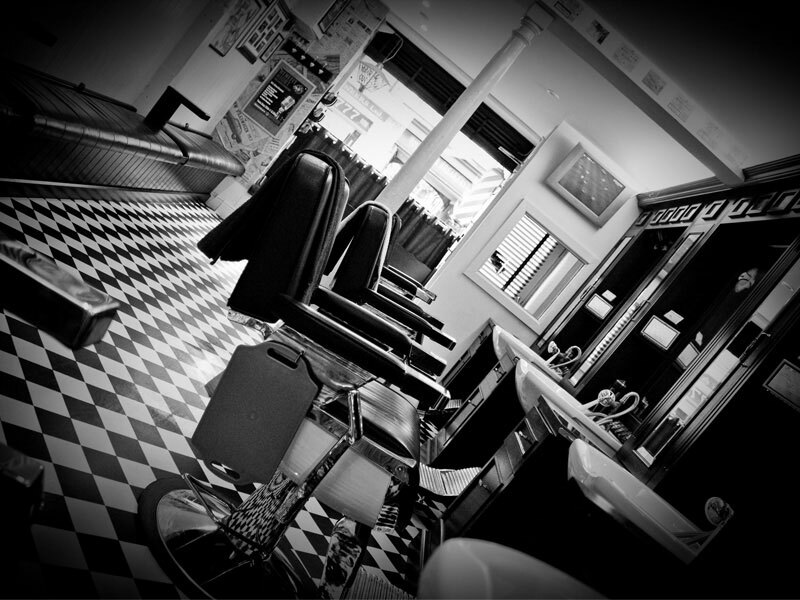 The barbers has been providing excellence in men’s hairdressing and shaving for over 16 years on Kilkenny’s John Street. 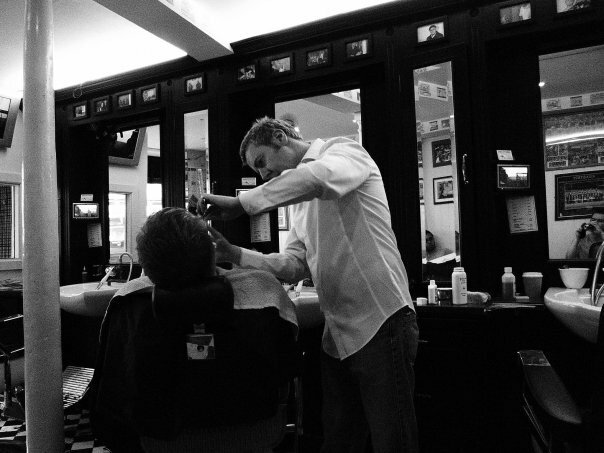 Our staff can give you the exact cut you want, whether its just a simple trim to a restyling. Our washes include a conditioning hair treatment and additional head massage. 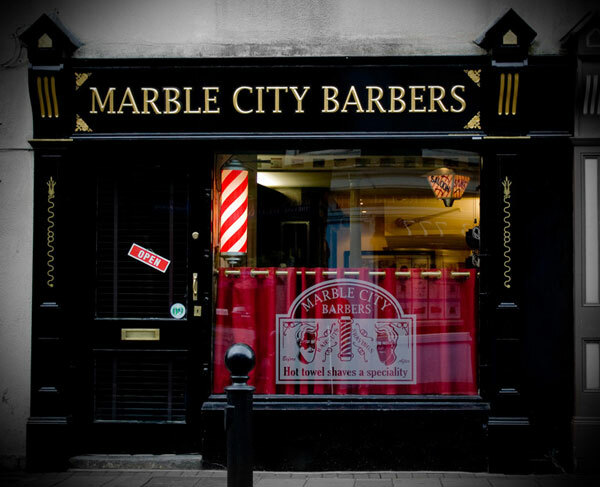 In addition to the best quality hair cut service that is delivered by our experienced staff, Marble City Barbers also offer all types of hair colouring and highlighting. Our staff will have your beard/moustache trimmed so quickly and easily you will wonder why you ever bothered with this messy job at home! 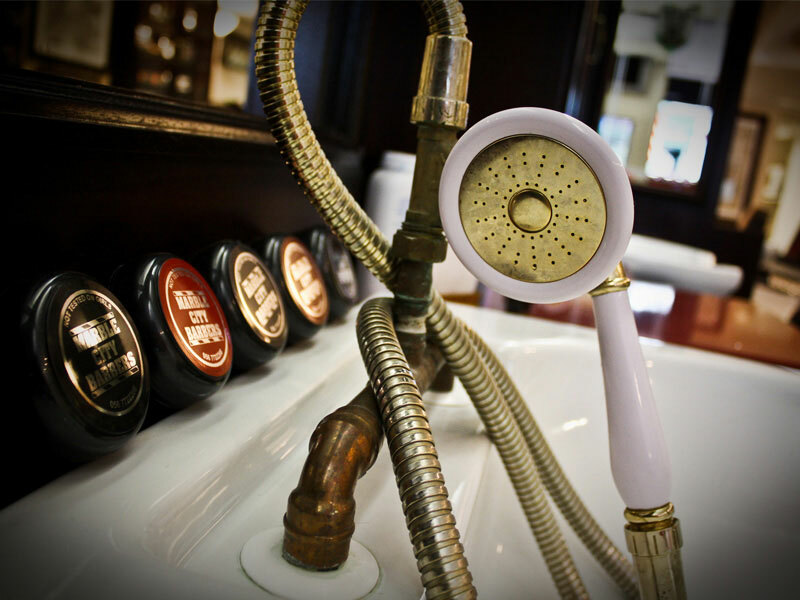 Our speciality hot towel shave has kept customers coming back for years and is the perfect way to relax and unwind. The hot towel application opens up the skins pores allowing the closest shave possible, combined with our range of face massage oils and soothing after care treatments, this is a shave like no other. 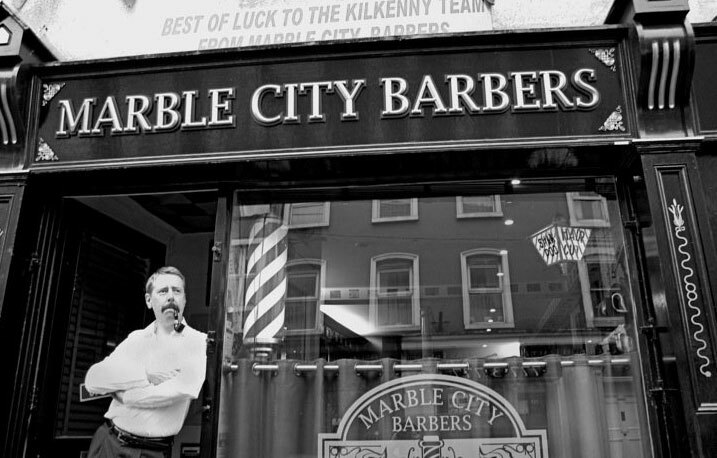 We stock our own range of Marble City styling gels, waxes and clays. Whatever your hair type, or how you want to control your style we’ve got a product to suit you.